You could be forgiven for thinking that everyone but you is going into space. You could also be forgiven for thinking that no one at all is going into space. Both things, in many ways, are entirely true. NASA’s manned space program — not to put too fine a point on it — is a mess. Never mind falling short of the glory of the old Apollo days. We’re not even capable of doing what we did back in the Mercury days — in the early 1960s, when we were sending people up in one-person cans for as little as 15 minutes at a time. At least then we had some kind of human access to space. Now, postshuttle, the only way we can get to orbit to visit the International Space Station (which we assembled and largely paid for, never mind its International name) is by thumbing a ride aboard Russia’s Soyuz, for which we pay a low, low, low $70 million per seat. And the Soyuz ships are not much to brag about either. Russia’s been flying pretty much the same machine for 50 years, and while it does the job, you can forget about going anywhere but low Earth orbit. But then there are all the new players — Elon Musk and his Dragon spacecraft; Richard Branson and his SpaceShipTwo; Paul Allen and his Stratolauncher; Jeff Bezos and his Blue Origin; Sierra Nevada and its Dream Chaser. Oh, and there’s that slightly larger outfit known as the People’s Republic of China, which is taking on space the way it’s taken on pretty much everything else it’s turned its attention to in the past 15 years — and that means bigger, better and more ambitiously than anyone else on the block. 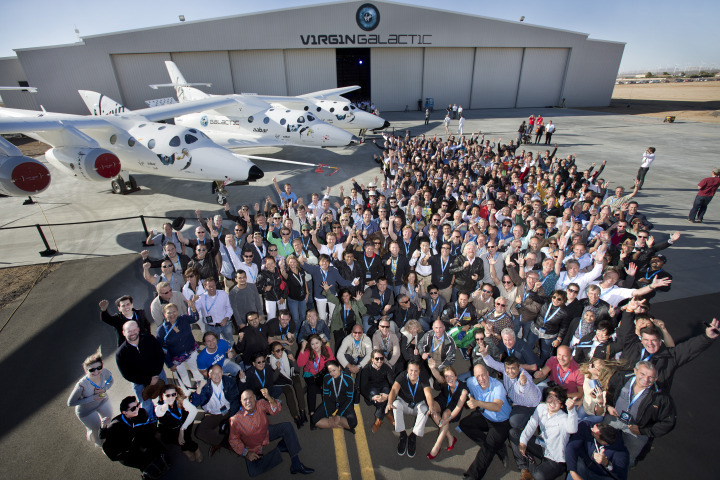 Just this week, Branson gathered 300 of his citizen astronauts — folks who have already plunked down deposits for $250,000 suborbital rides set to begin as early as 2014 — for a sort of pep rally in a hangar in the Mojave Desert, with SpaceShipTwo gleaming on the tarmac nearby. The atmosphere was celebratory, and the prospective passengers seemed ready to go that very day. But will they be going at all — next year, the year after that or even later? And what about all the other players, big and small, in what has become nothing short of a cosmic scrum? Here’s a look at where they all stand, in rough sequential order — with special emphasis on the rough. In the 21st century space game, things change fast. 1. China, the Big Dog: Like it or not NASA, the PRC is eating your lunch — and the reason is simple: you’re not touching it. At the same time the U.S. decided to mothball its shuttles and replace them with nothing in particular, China has made a commitment to space not seen since the old U.S.-Soviet space race. Over the course of just the past 10 years, China has launched five crewed missions, two robot lunar orbiters and a mini space station and is preparing to launch its first lunar rover. More important, it has openly declared its intention to have people on the moon some time in the next 10 years or so. Even China can’t control the vagaries of space travel, and its initial target date of 2020 has slipped some, but barring an unforeseen political or technological setback, make no mistake that they’re going. Why? Because they’ve simply chosen to go — the same reason we went more than 40 years back. 2. SpaceX, the New Kid: Musk can freak you out up close. There’s an otherworldly calm to him, a self-assuredness that he wears less like a boast than a law of physics. 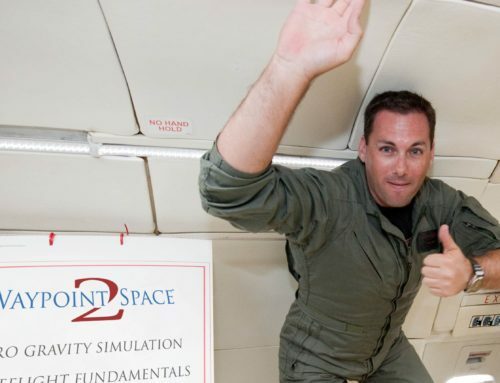 I’m going to space because I said I’m going to space — any questions? And while that may grate, it’s hard to argue with his success. Musk — who is also the founder and owner of Tesla Motors and one of the founders of PayPal — has already launched two successful unmanned missions to the International Space Station with his Falcon booster and his Dragon spacecraft. And the Dragon that today carries only cargo is even now being retrofitted to carry astronauts. Musk is old school in the best way possible. Not for him are the snazzy winged ships that take off like rockets and land like airplanes; he’s gone back to the traditional booster with the traditional Apollo-like crew vehicle perched on top, but improving on both. His rockets are modular: the one-engine Falcon, the nine-engine Falcon-9, the 27-engine Falcon Heavy. The Heavy hasn’t flown yet, and getting that many engines to fire just right without blowing themselves up or shaking themselves apart is not easy. But Musk has already done what no other private entity had done before — sending a spacecraft into orbit and recovering it successfully — and it doesn’t pay to sniff at his plans to carry people into Earth orbit and later to the moon or Mars. Less realistic: his Grasshopper rocket, designed to take off and land vertically, entirely under rocket power. The thing has made a quick, 300-m demonstration hop, but 300 m is a long, long way from space. 3. Branson, the Travel Agent: The 300 people who met Sir Richard in the desert this week are fewer than half of the 640 passengers he’s already signed up for trips aboard SpaceShipTwo, and that waiting list is growing. The machines Branson is building are impressive. SpaceShipTwo is a little six-passenger space plane with a wingspan of 12.8 m. It’s carried aloft under the belly of the much larger — 43-m wingspan — WhiteKnightTwo, to an altitude of 15,000 m. There the mother ship releases the spaceship, which climbs to suborbital altitude under rocket power, spends five minutes in weightless space and then comes home. So far, SpaceShipTwo has not even made a successful test flight to space (nor has it made any unsuccessful ones), but it has flown in the high atmosphere dozens of times and is moving steadily spaceward. Branson claims he could be flying passengers as early as 2014. Maybe, but even if he makes that deadline, it’s fair to ask if joyrides for wealthy tourists are the best way for the private sector to be using space. Branson and his believers don’t feel that way of course — and his operation is undeniably impressive. He does see more-practical applications for the technology he’s developing, including trips to the moon and high-speed point-to-point travel on Earth. (New York City to Tokyo in three hours anyone?) But for now, it’s all about the tourists. 4. NASA, the Faded Star: The fact that America’s once towering space program ranks even as high as fourth is a nod not to what it’s been doing of late, but what it would be capable of doing if it chose to. Before the grounding of the shuttle, NASA had big plans for its next chapter in manned space travel. It would be returning to the moon and perhaps Mars aboard a much larger Apollo-type spacecraft dubbed Orion, lofted by one of two rockets — the Ares I and the heavy-lift Ares V — depending on the mission. But that program was scrapped, and after floundering around for a while, the space agency decided to revive Orion and launch it with a heavy-lift vehicle called the Space Launch System (SLS). When will this shiny new hardware be ready? Maybe 2016, maybe later; no one is saying with certainty. And what would the mission be? Here NASA is flirting with parody. Forget the moon, forget Mars. We’ll be going to an asteroid, but rather than simply send a crew out there to land, we’ll be sending a robot ship to scout for one that looks interesting, place it in a gigantic space bag (really) and tow it back to the vicinity of the moon, where we can visit it at our comparative leisure. What could possibly go wrong? The paradoxical good news: if NASA’s abysmal history of follow-through indicates anything, it’s that this plan, like so many others before it, will be abandoned. The SLS and the Orion could indeed be insanely great machines. If they do get built, here’s hoping someone will have the sense to point them in the right direction. 5. The Ones to Watch: For all Musk’s success in space and savvy with the press, SpaceX is actually just one of a handful of big outfits competing to dominate both the manned and unmanned orbital market NASA has abandoned. In anticipation of the shuttles’ retirement, the space agency established what it called its Commercial Crew and Cargo Program Office (handily nicknamed C3P0). The office opened the door to bidders from the private sector first to take over the unmanned station-resupply portion of its portfolio, and the two biggest competitors in that game are SpaceX and Orbital Sciences, the latter a Dulles, Va., company that already builds and flies a line of rockets for commercial and government launches. Like SpaceX, Orbital is under contract with NASA to resupply the space station, a goal it officially achieved this morning, Sept. 29, when its Cygnus spacecraft successfully docked with the station. The manned portion of that program is more of a scramble at the moment, with SpaceX again in the lead, followed variously by Boeing, United Launch Alliance (ULA, which already flies the well-proven Atlas and Delta boosters) and Sierra Nevada (with its winged Dream Chaser). For now, bet on SpaceX and ULA. 6. The Dilettantes: Ah, Bezos and Allen, the contributions you’ve made to the digital age are hard to measure. But the space age? Not so much — at least not yet. Bezos’ Blue Origin company is aiming to build a Grasshopper-type takeoff-and-landing spacecraft, but he’s secretive about the whens and the hows of this technology and has put no meaningful flight points on the board. It never pays to underestimate Bezos — right, Borders, Barnes & Noble and the Washington Post? 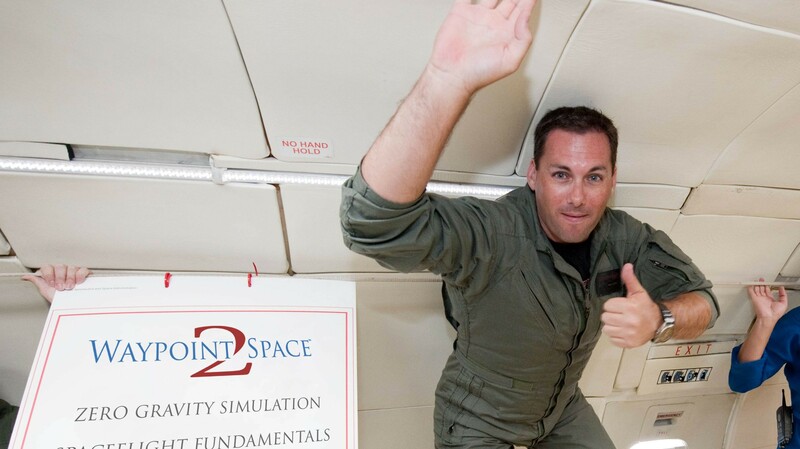 But spaceflight ain’t beanbag — and it ain’t publishing and marketing either. Bezos might, for the first time, be out of his depth. Allen’s Stratolauncher is a two-part system like Branson’s, though much bigger and with more orbital capability. The major downside: Branson is already flying his machines — albeit not in space yet — and Allen has barely begun cutting metal. His company — located practically across the street from the Mojave spaceport that serves as a sort of branch office for the much larger Spaceport America in Sierra County, N.M., where Branson is the anchor tenant — promises that test flights will begin in 2016, and the first trip to space will happen in 2018. Perhaps it will. And perhaps it won’t. The space industry is, in many ways, like the computer industry was 20 years ago. Remember when Apple was left for dead — until it rose up and ate the world? Remember when Texas Instruments and Dell were the giants that bestrode the landscape? Look at them now. SpaceX could fall, Bezos could rise, and NASA and China can do pretty much whatever they choose to do. We are, surely, going back to space — but things will remain awfully messy for a good while before we get there.